Email marketing is easily one of the most effective forms of digital marketing. It takes a strong email marketing manager to run a concept through to conversion. There are certain skills an email marketing manager must have to not only become a great leader but to deliver successful campaigns time and again. For this reason, we are offering an insight into the eight skills every email marketing manager needs. An effective strategy is the key to any digital marketing campaign. Unfortunately, one of the biggest things letting companies down is their inability to strategize. Unlike social media, email marketing doesn’t have a formulated strategy – so it is up to the company to determine one. An email marketing manager must, therefore, lay the foundation for the campaign, identifying how it will fit within the company’s marketing and business objectives. Once the skilled strategist has identified the overall strategy, his or her next job will be to provide a tactical plan, creating various content campaigns and organizing the ongoing campaigns to match the marketing calendar. You may have set your objectives, but you won’t be able to meet them if the email is never delivered. Many things can often prevent an email from reaching its destination, and it is up to the email marketing manager to improve the email’s chances of making its way into a recipient’s inbox. All of the above could, therefore, help the email marketing manager achieve a deliverability rate of 99.5%+. The power of social media seemingly knows no bounds in digital marketing. In addition to the likes of Facebook driving traffic to an e-commerce store, social media can also encourage people to subscribe to your email newsletter. For example, you could add a call-to-action bar or a sidebar on your Facebook page to encourage new subscribers, or you could even invite Instagram users to sign-up through storytelling. One of the biggest social media apps to hit digital marketing in recent years is Snapchat, which you should integrate into an email marketing campaign. You can use the handy 24-hour video to offer a sneak peak of your fantastic emails using a Snapchat story, which may encourage more people to subscribe. An email marketing manager’s job is to capture the attention of the subscriber. If you visit your own email inbox, you will probably find a wealth of non-personalised emails that provide you with little to no value. You must try to customize the message for each individual subscriber, so they feel compelled to open the email to see what’s inside. For example, writing “Hi (name), we have an exciting deal for you” can be much more effective than “Take a look at our new company offer”. By initially capturing their attention, you have a better chance of them clicking on an email and at least reading some of the content. The more engaged your subscribers become, the more they will buy from your company. The email marketing manager must make it his or her mission to successfully engage with a subscriber with each email. One of the best ways to do so is by providing the subscriber with more than they expected – especially within their first two to four weeks of subscribing. Your goal should be to establish a rewarding relationship with the reader, allowing them to trust in both your products and services. Email subscribers love to feel they are receiving a VIP experience, as they will have something that no-one else has – so make them feel as though they are part of an elite club. If a subscriber knows the will receive something that many others will not, you can guarantee they will click on the email to see what is inside. You may as well digitally toss your email marketing campaign in the bin if you can’t control your data. With almost every industry moving towards big data, it is now more important than ever to utilize the valuable information to not only improve your clickthrough rate but to add to your list of subscribers. An email marketing manager is responsible for data management, which means taking control of the email subscriber list, cleaning the database of unsubscribers and removing duplicate entries. What’s more, the email marketing manager must provide thorough performance reports, so must measure open rates and clickthroughs, as well as identifying any email marketing anomalies or emerging trends. Content marketing is the cornerstone of every marketing campaign. Whether the email marketing manager works with a team of copywriters or writes his or her own copy, it is important that any typos or punctuation errors are removed before delivering an email and that the brand’s voice is maintained. Before the email is scheduled, the manager must review the email copy with a fine-tooth comb, looking out for any mistakes that could affect the quality of the campaign and the conversion rate. The low-quality copy can equal a low-quality company in a customer’s eyes, so do not give the subscriber a reason to hit the dreaded unsubscribe button. An email campaign cannot possibly work without a high-quality graphic design. The consumer has come to expect aesthetically-pleasing marketing and, if your email is anything but, they will not trust your services if you cannot match the caliber of your marketing rivals. A designer must create attractive templates for the email campaign, which should complement the company branding. The templates will ensure the messages will maintain a consistent style across multiple email subscribers while allowing a company to easily edit the template per campaign. 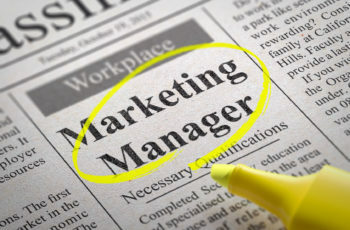 The success of an email marketing campaign lies in the manager’s hands. As email marketing has an average conversion rate of 66%, it is essential the email marketing manager has all the skills listed above to improve customer engagement, revenue, trust, brand awareness and business growth. What’s more, a manager should never take his or her eye off emerging digital marketing trends to continually create email marketing campaigns that convert.